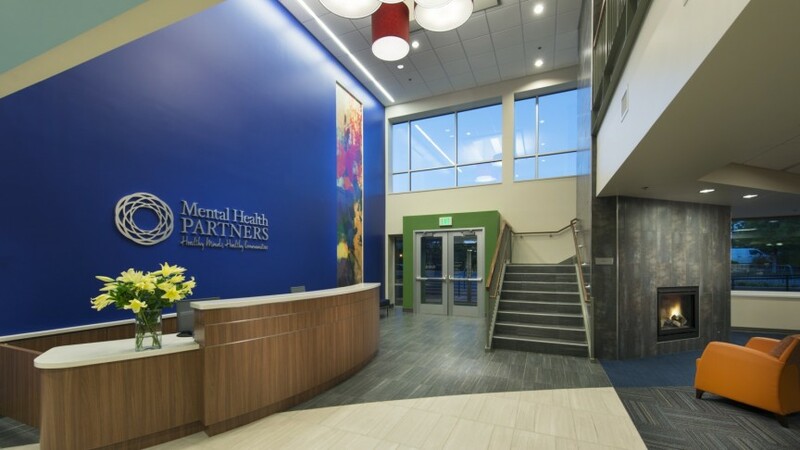 Mental Health Partners is a federally designated not-for-profit, comprehensive community mental health center. 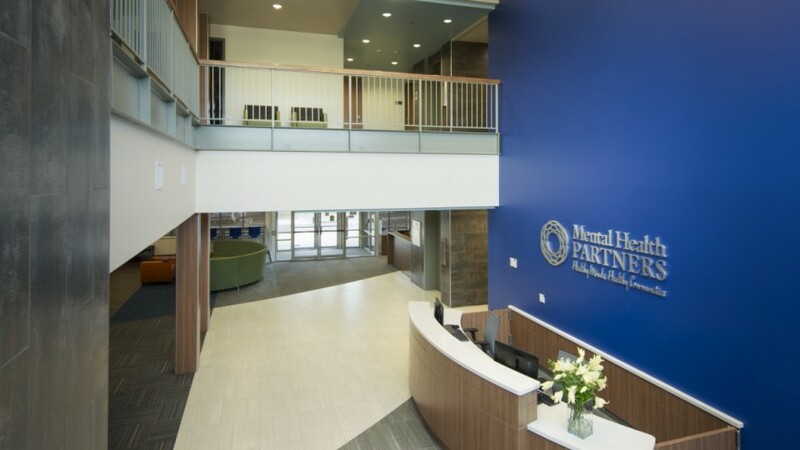 They sought to renovate an existing two-story, medical office building to function as a Wellness and Education Center to consolidate services and provide a one-stop-shop for mental health and wellness services. 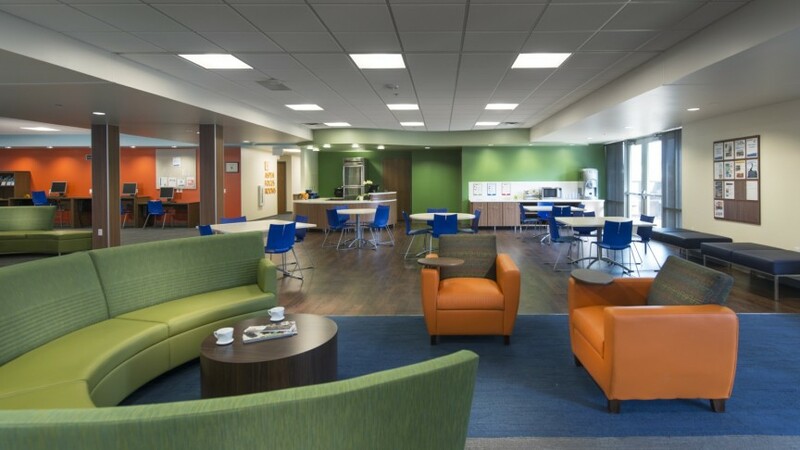 The program includes a medical clinic, client services area, community rooms, staff cafeteria, teaching kitchen, offices, and education center with three classrooms. 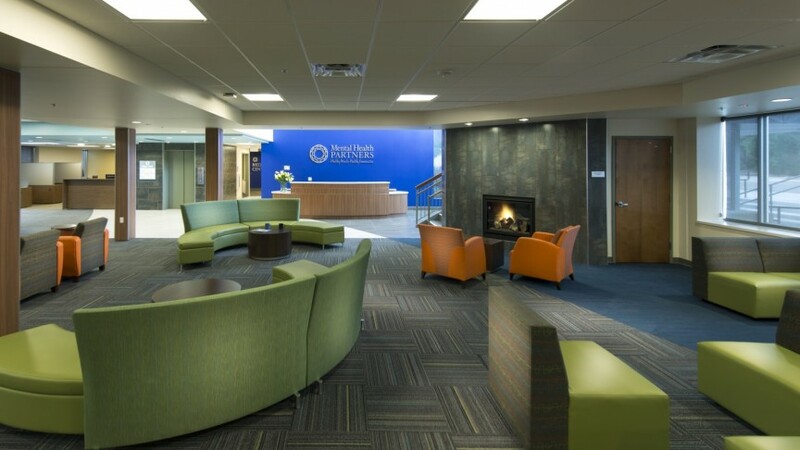 The renovated facility features a new two-story lobby and new storefront windows and doors on the south side of the building. 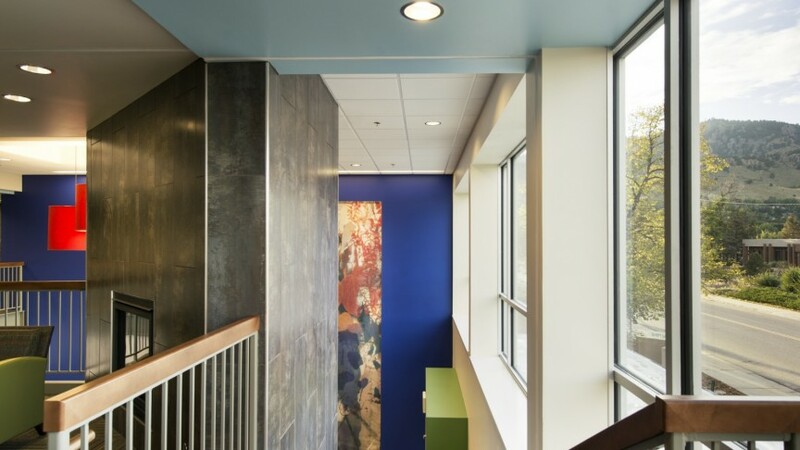 These elements help break up the repetitiveness of the existing building façade, provide day-lighting throughout the building, and connect the interior to the exterior patio space and kitchen garden. 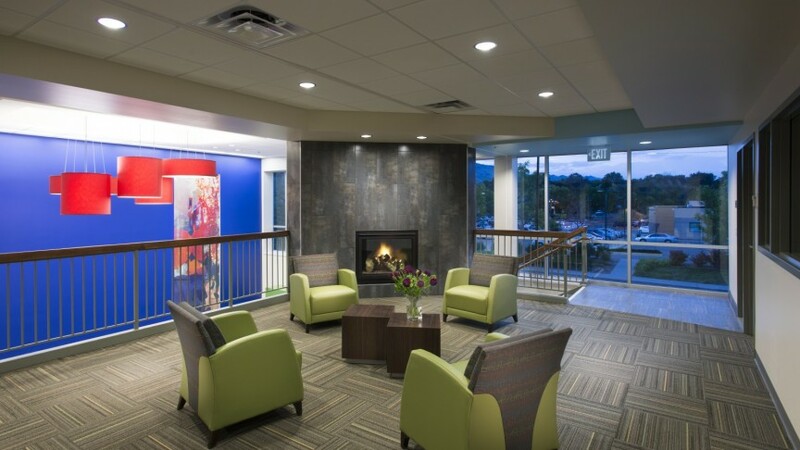 The planning was a challenge as it required phasing the renovations to accommodate the existing tenants that remained operational during the process. It also called for planning the program around the lease expirations of current tenants. 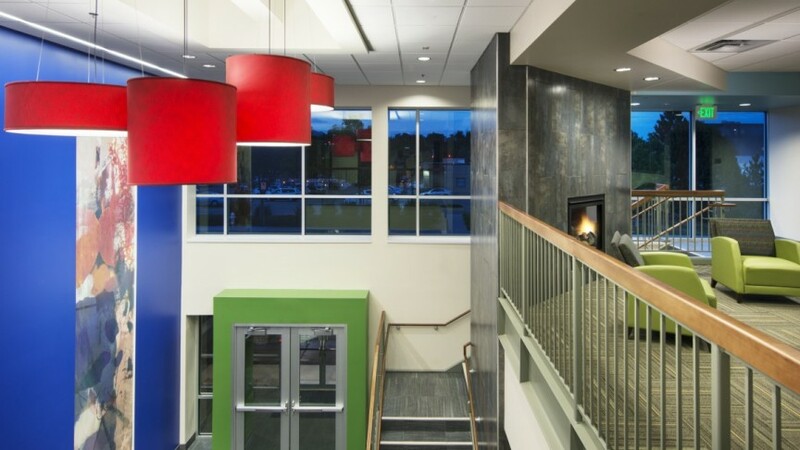 An additional challenge was working within the constraints of the existing building to incorporate new large assembly occupancy spaces and the commercial kitchen while complying with current building codes, accessibility, and increased energy efficiency requirements. 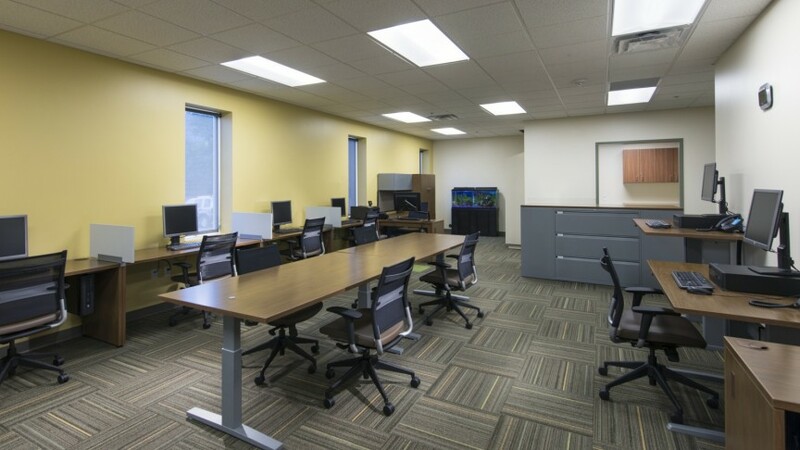 All of this had to be accomplished without exceeding the owner's budget for the project.